Credit: The Darwin Project (MIT). Download this image (PNG, 1.4 MB). [08-May-18] Understanding the location and traits of phytoplankton is key to discovering their roles in the ocean ecosystem. 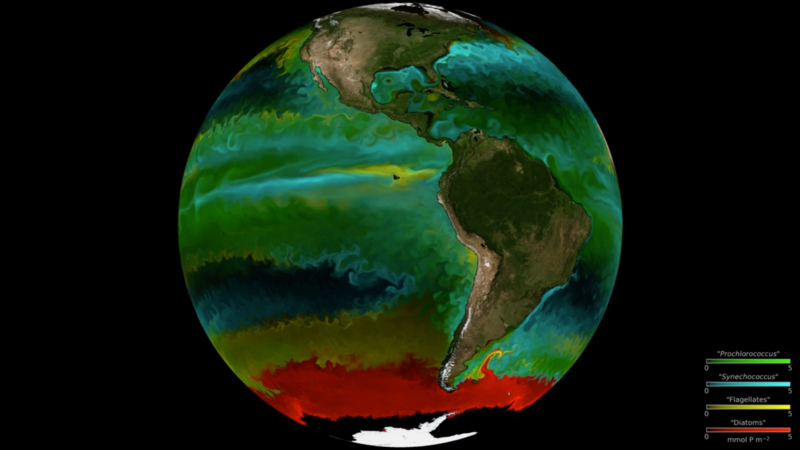 The colors on this map represents the locations of groups of phytoplankton modeled by a high-resolution ocean and ecosystem model known as MITcgm.